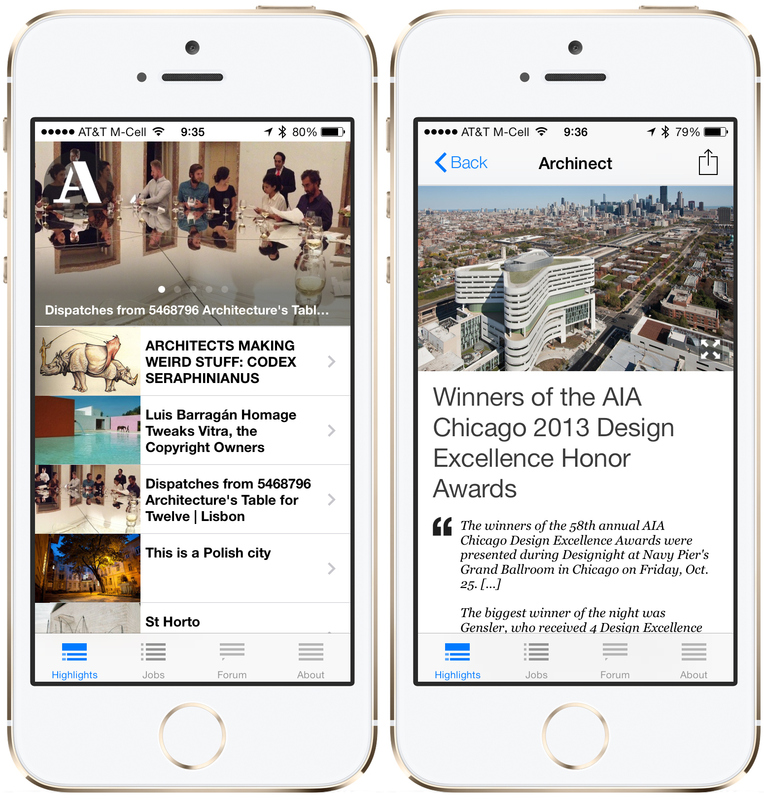 We've updated the Archinect iPhone app with a subtle user interface refresh for iOS 7 users. We've also made a few other minor style updates and bug fixes. 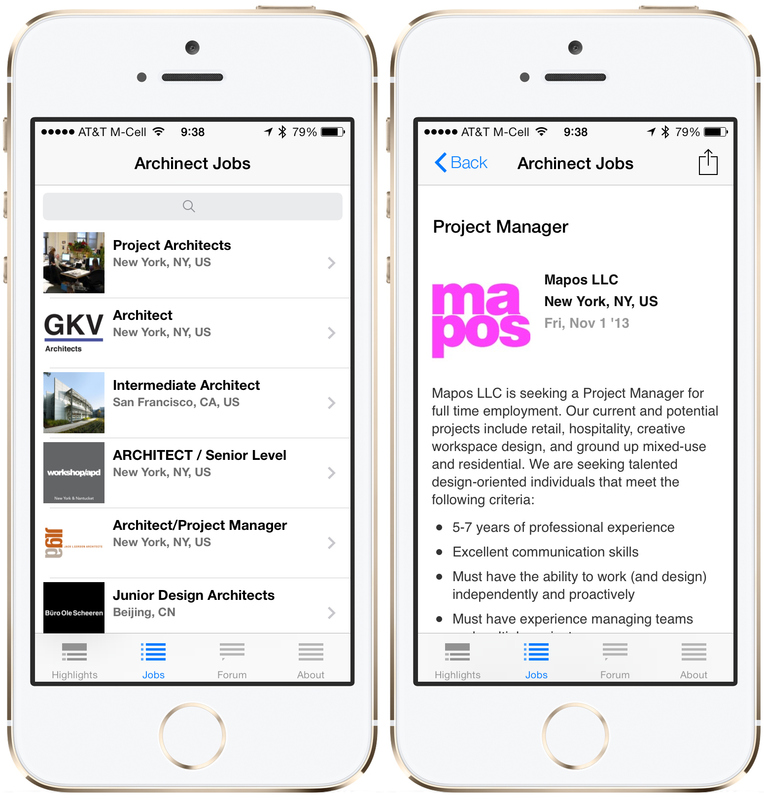 As with the previous releases of the Archinect app, we've focused on simplicity, providing you with highlighted content, jobs, and a fully interactive discussion forum. 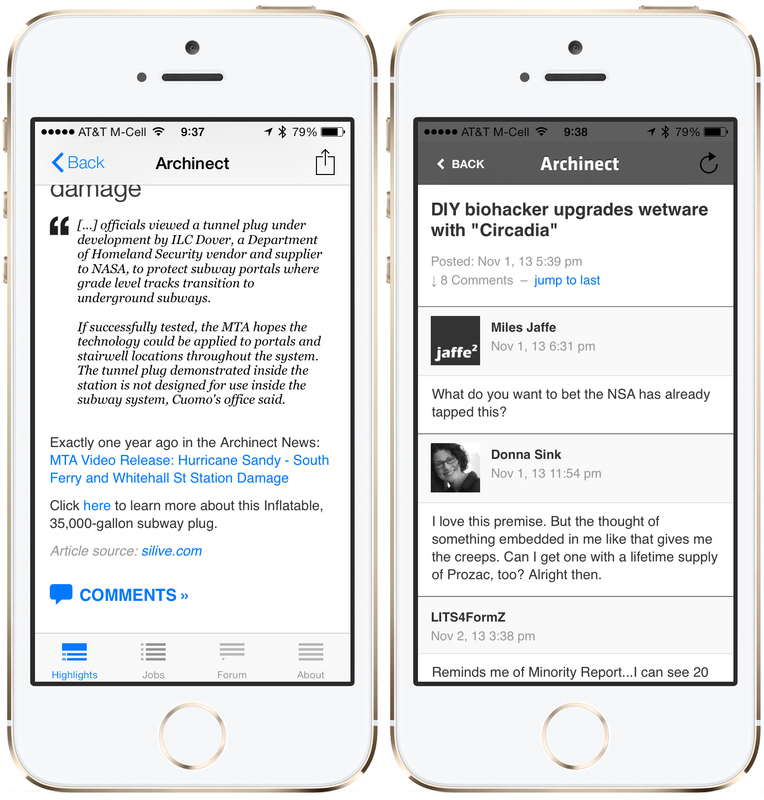 Engage with other Archinect members by logging in and joining the conversation. Stay up-to-date on the latest job opportunities while you're on the go. Our search function in the Jobs section allows you to quickly narrow down the exhaustive list of jobs to the location or job type that matches your needs. Since launching our app last year, tens of thousands of people have been using the Archinect app on a daily basis, and we're ecstatic to receive an almost 5/5 rating! 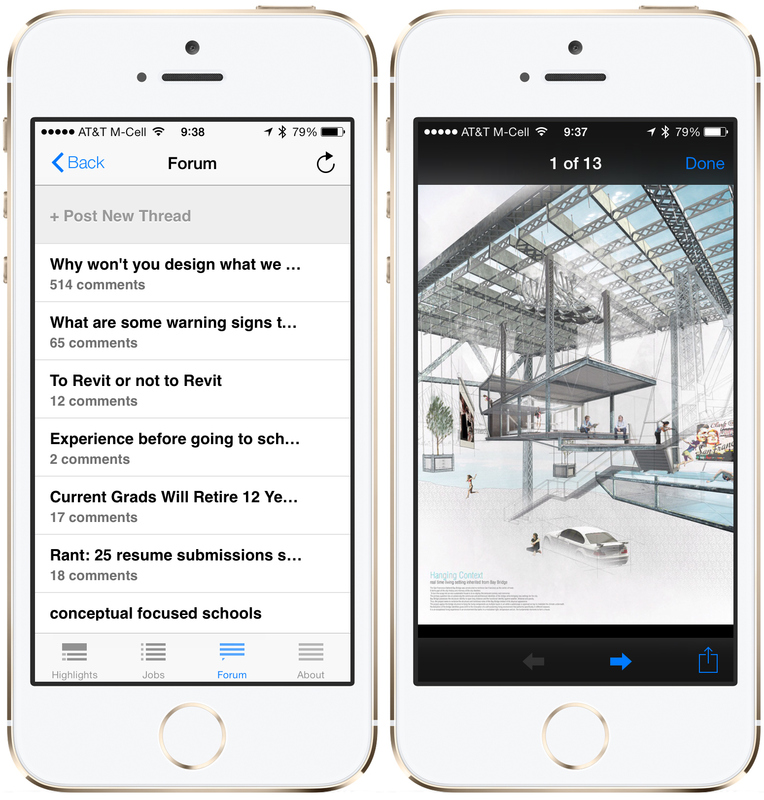 We think you'll enjoy this new refresh, especially those of you on iOS 7, Apple's latest mobile operating system. Love the app - as usual. Less excited about the updated icon but ... quibbles. Donna - we've been immortalized! I was already a legend in my own mind. Just nice to see someone else recognize it. It definitely couldn't be me, I'm not PG-13 enough. You know, I'd really like to see some data on how many people actually go on Archinect. Sometimes it feels like a smaller community with the same similar faces. Would be cool to know that our comments/advice/random conversations reach out to a good chunk. How about an archinect android app?